Is our government trying to stop and deter the invasion at the border, or is it simply trying to manage, process, apprehend, and arrest our way out of the problem? This question has real-life consequences for Jim Chilton, a prominent Arizona rancher who owns one of the largest properties on the border. Jim and Susan Chilton own a 50,000-acre ranch south of the tiny town of Arivaca in Pima County, Arizona. 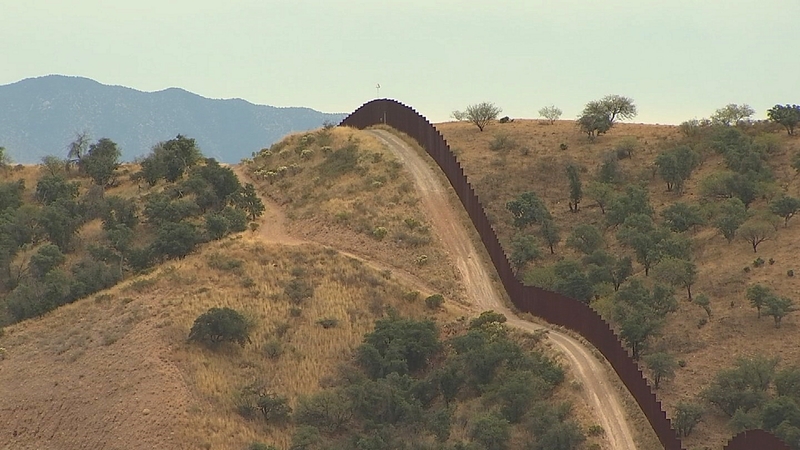 Their ranch is 12 miles west of the Nogales point of entry, with rugged terrain separating the checkpoint and all its law enforcement assets from his “no man’s land,” which includes 14 miles of international border. According to Chilton, there is nothing close to a permanent Border Patrol presence at the border where his ranch is located, and his property has become a known drug and human smuggling route for the cartels, who are constantly surveilling his property. “My ranch is essentially controlled by cartel scouts,” says the fifth-generation rancher, who is wondering why the agents don’t permanently camp out right at his border. In any other country or any other era of our history, we’d consider this an invasion. An invasion would warrant, at the bare minimum, the Border Patrol and other assets holding the line right at the border and refusing to allow any entry of cartel activity on our soil. Most of those crossing in the remote areas aren’t even the bogus asylum seekers; they are the drug smugglers. Chilton was incredulous at the notion that drugs don’t cross between points of entry and invited the media to come to his ranch and see the photos of those coming over in camo with assault rifles. Chilton described a frustration I’m hearing from several parts of the border, namely that the policy of our government is to keep the Border Patrol stationed in operating bases far from the border, essentially ceding all the land south of their presence, allowing the cartels to whittle away our sovereignty and the security of our border ranchers. To be clear, Jim is thankful when they do come, and indeed, one agent was almost killed on his ranch after being shot by a cartel smuggler last June, but he is stupefied as to why they won’t proactively park themselves right at the border and not let anything move across. Thus the Chiltons’ entire ranch is outside the protection zone, open to the criminal activity and the drug smuggling which eventually affects the rest of the country. “The real drug packers we see drop off their drugs at a GPS site and then we see them going back south to Mexico.” All while the cartels complete their smuggling, Chilton complains that he “very seldom ever sees a Border Patrol agent” unless they are called in for a specific reason. Chilton’s entire border region only has a cattle fence that “as an 80-year-old” he can get through himself. He believes we need agents actually stationed at the border itself, with access roads, not just responding from afar. Most of his land is leased from the Forest Service and would be easy for the feds to control. In addition to seldom seeing border agents, he rarely sees Forest Service rangers. “As soon as Trump was elected, traffic stopped, but gradually increased again and was much higher this past year than in 2017.” He said most of the traffic in his region is drugs. Chilton is frustrated that the agents are busy either operating around the point of entry, dealing with the asylum seekers, or parked in Tucson.